Distribution: Within about 300 km of the coasts of NSW, Eastern SA, southermost QLD, southwest WA. Most of VIC and TAS. 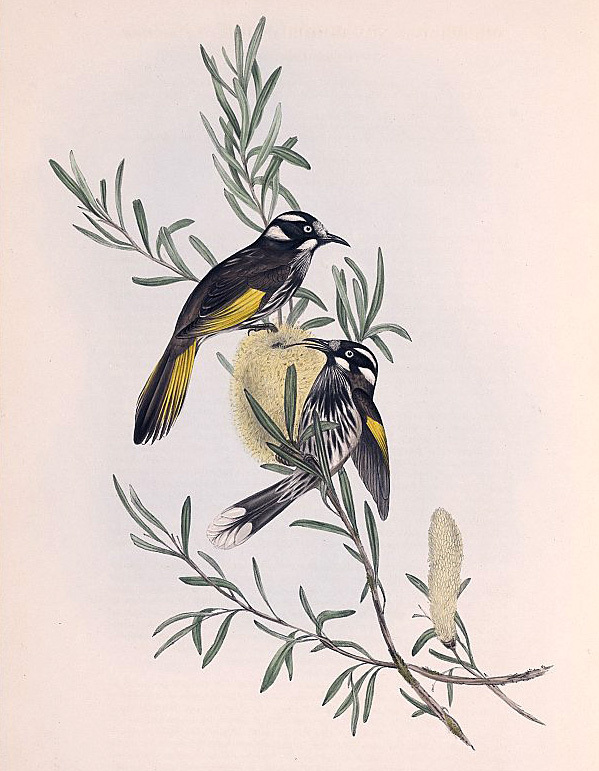 The New Holland Honeyeater is a common bird in the Blue Mountains, especially the Upper Blue Mountains. 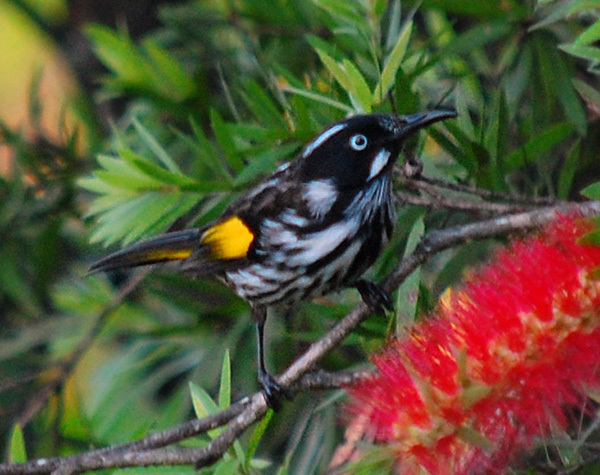 They are small and distinctive in appearance, and often seen in gardens where there are some native nectar-bearing plants such as bottlebrushes. 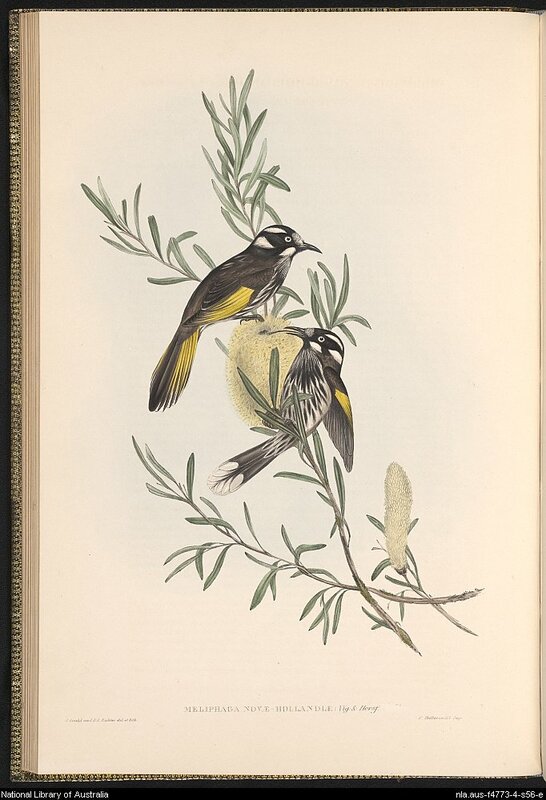 There is also a White-cheeked Honeyeater, which looks very similar except it has white cheeks.